This Almond Orange Basbousa Bundt takes the best of the Arabic sweet treat basbousas - semolina, coconut, almonds, orange syrup and lots of butter - and bakes them into a tender, buttery crumb cake I think Scheherazade would be pleased to serve. 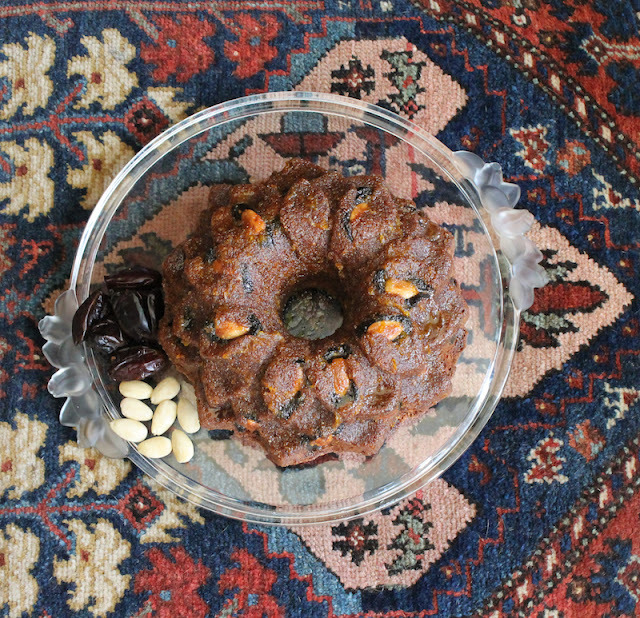 This month my Bundt Bakers are taking inspiration from the tales that Scheherazade told over 1001 Nights to create Bundt cakes with Arabic flavors. 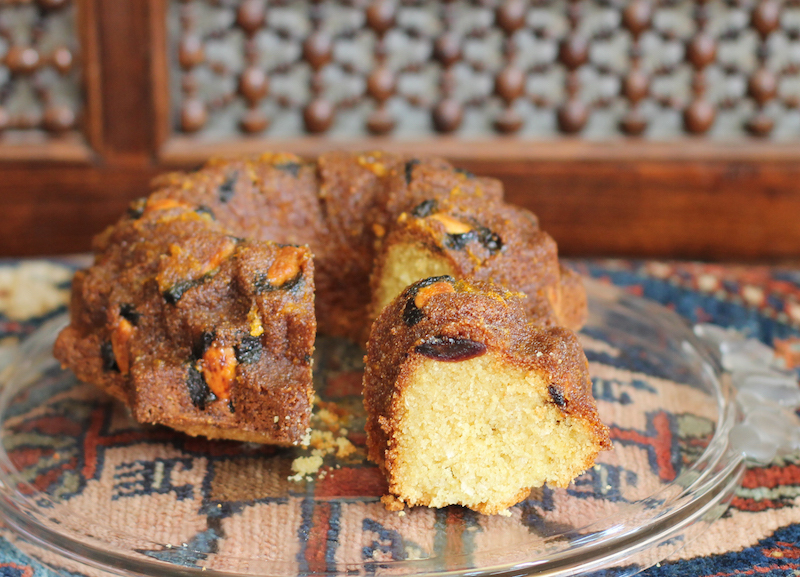 I decided to recreate the sweet treat basbousas that I made a while back for a Creative Cookie Exchange post, but instead of using camel milk caramel to glaze the cake, I took a more traditional route with orange syrup. Basbousas are normally adorned with almonds but I took the liberty of adding dates as well since those often feature in Middle Eastern desserts. 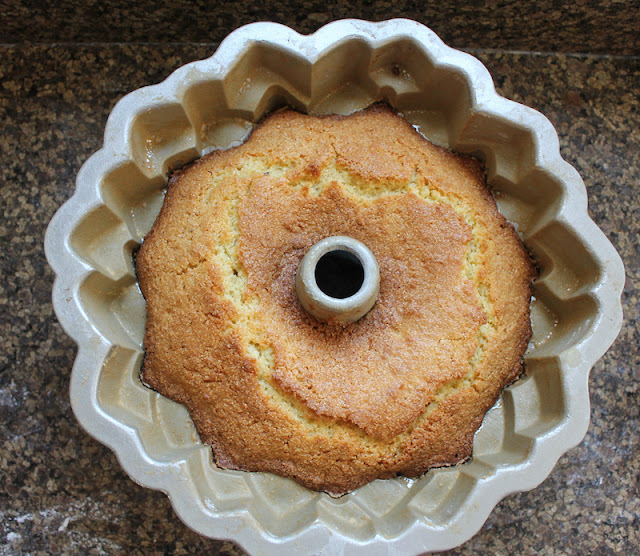 The result was a lovely cake with a great buttery crumb, very much like a basbousa in Bundt form. Many thanks to our host Lara of Tartacadabra for the wonderful challenge. 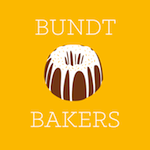 Make sure to scroll down to see the other wonderful 1001 Night Bundts we have for you this month. 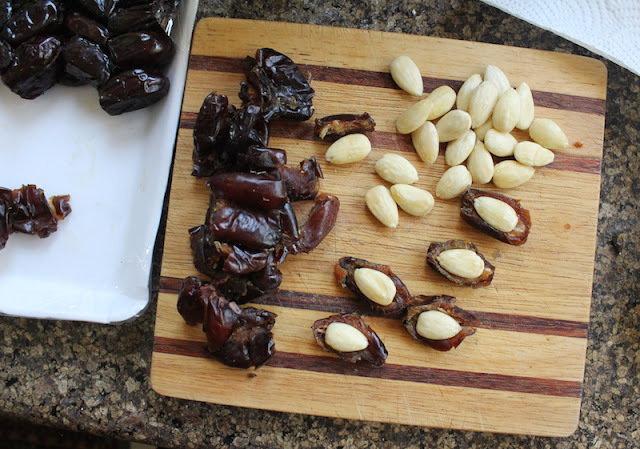 Cut the dates in half and press on almond into each half. 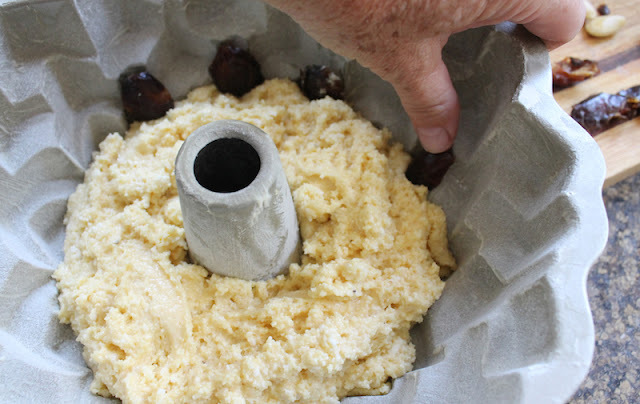 Butter your 10-cup Bundt pan well then coat with a light dusting of flour. Set aside. 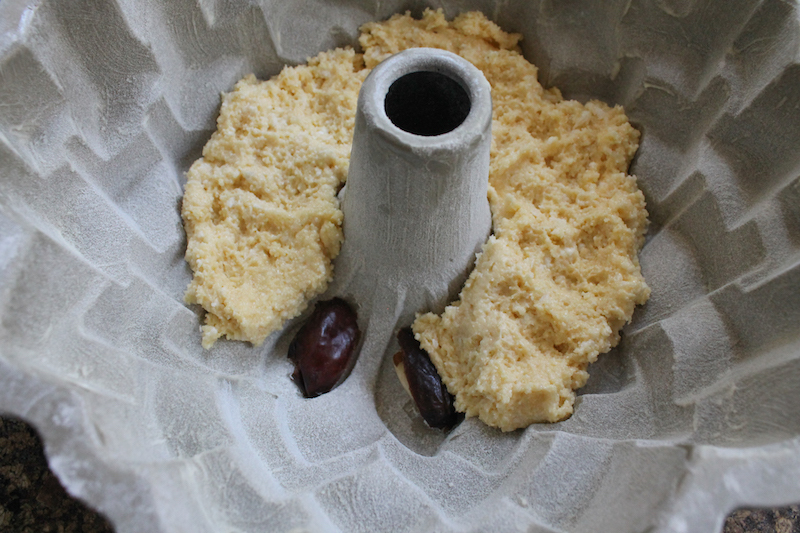 Whisk together the semolina, coconut, flour, baking powder, baking soda and salt in a bowl. 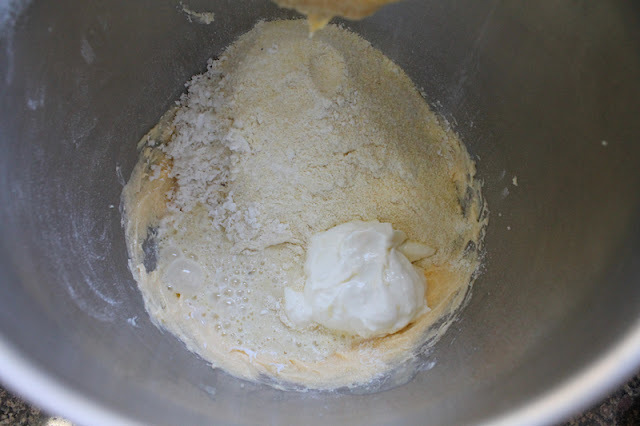 With electric beaters or in the bowl of your stand mixer, cream together the butter and sugar until they are light and fluffy. 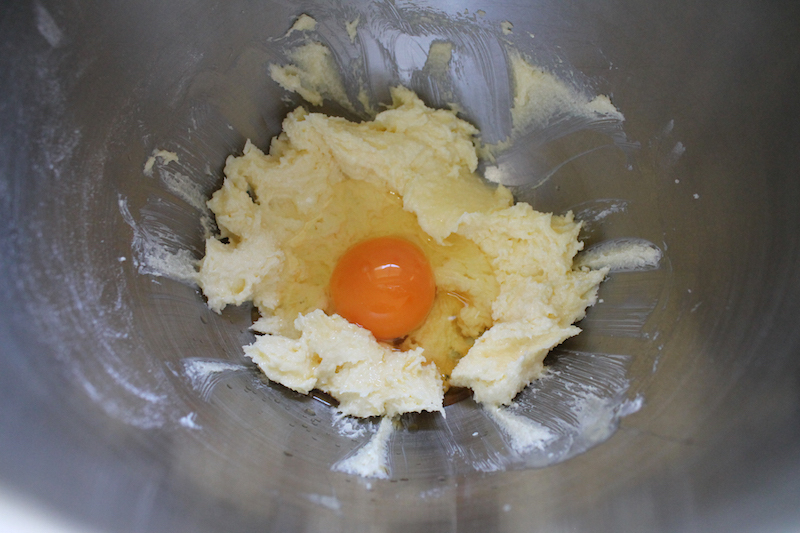 Add in the egg and vanilla and beat again. Add the flour mixture along with the yogurt and milk to the mixing bowl and then beat until well combined. 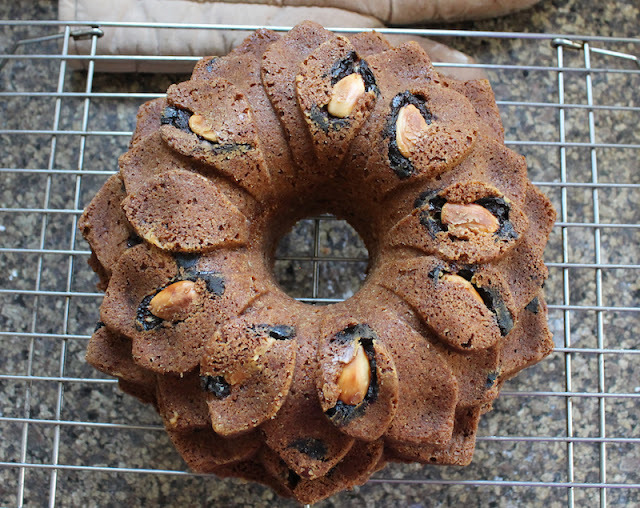 Press date covered almonds down into the bottom of your prepared Bundt pan, almond side down. Spoon in batter to cover them carefully, trying not to dislodge them. Press date covered almonds into the sides of your Bundt, tucking them down to secure them. 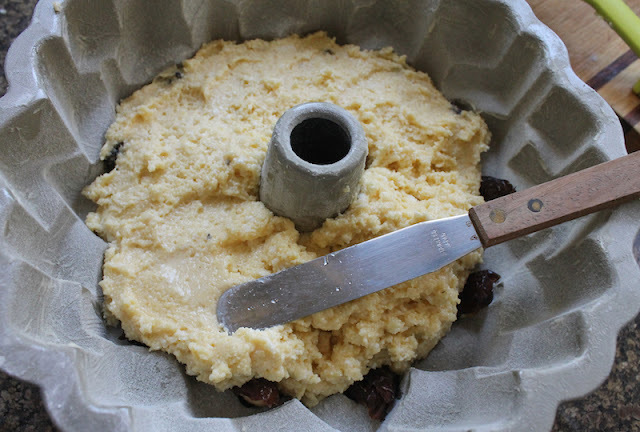 Keep spooning the batter in carefully. Smooth out the top of the batter, working it to the sides to hold in the date covered almonds. They won't all stay exactly in place but do your best. 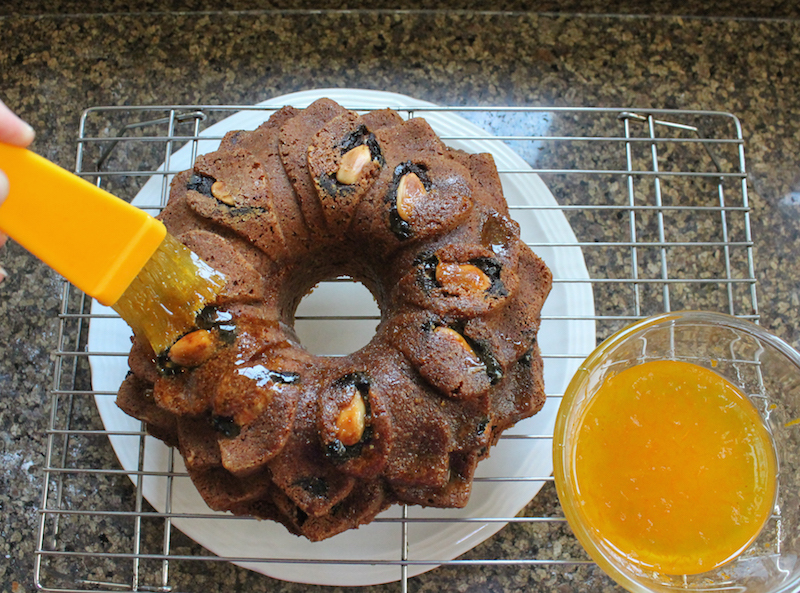 Bake in your preheated oven for 55-60 minutes or until the Bundt is golden and a toothpick comes out clean. While the Bundt bakes, measure your sugar into a small pot. 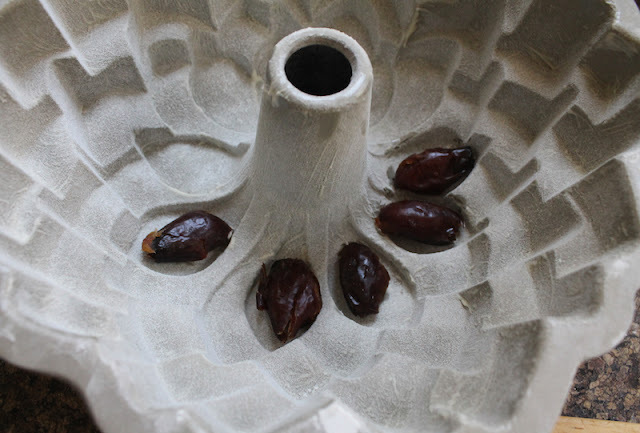 Grate in the zest of your orange and then squeeze in the juice, using a small strainer to catch any seeds. Heat the sugar and juice until the sugar dissolves. Add the pinch of salt and cook until the syrup starts to thicken slightly, about 5-8 minutes. Set aside to cool. When the Bundt is baked, remove it from the oven. Leave to cool for about 10 minutes on a wire rack. Loosen the sides of the cake with your toothpick then turn the cake out onto the wire rack. 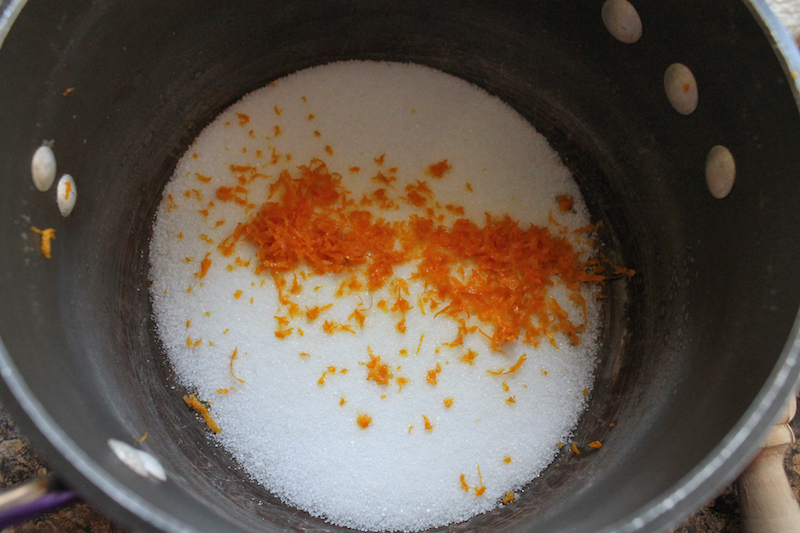 When it’s still quite warm, start brushing on the orange syrup, allowing it to soak in as you do. 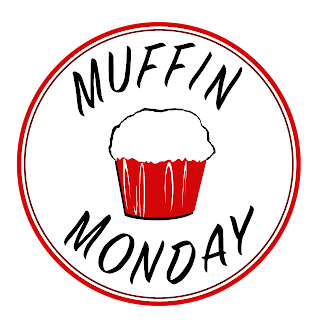 Put it on your serving plate or put a plate underneath to catch any drips. Keep brushing and soaking until all of the orange syrup has been absorbed. 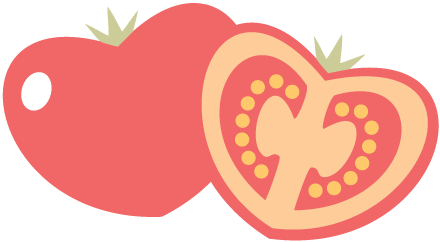 Cut into slices and serve with cups of hot tea. 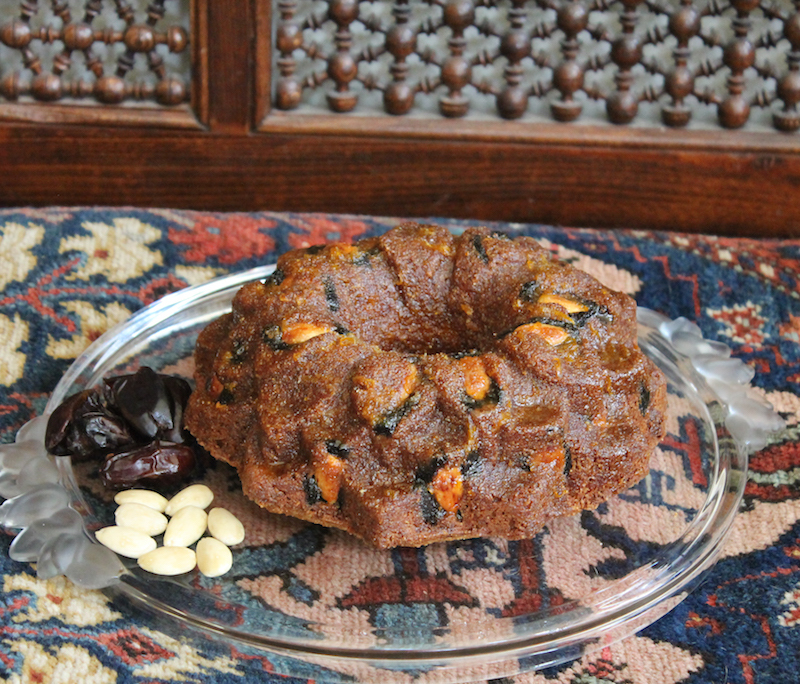 Oh, if only Scheherazade could bake like my fellow Bundt Bakers! She wouldn't have had to make up all those stories to keep her husband, the king interested. Seriously. 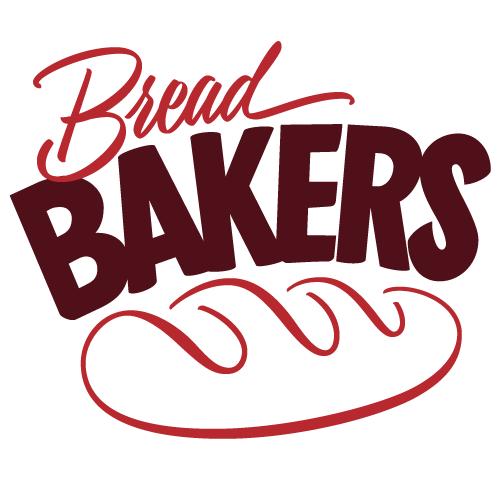 Check 'em out.